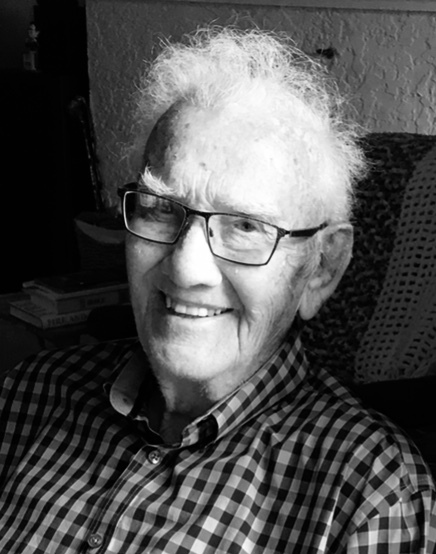 With heavy hearts, we say goodbye and celebrate the wonderful life of our Father and Grandfather who passed away peacefully in Weyburn, Saskatchewan at 92 years. Born in Semans, Sask., he lived with his clergyman father and family in Ogema, Cupar, and Elstow. He attended the University of Saskatchewan studying Agriculture, Arts & Science and Theology. After summer placements as a student minister in Somme, Chelan and Flin Flon, he was ordained into the United Church of Canada in 1951. Dad had a passion for the ministry and in partnership with Frances, served on charges in Wawota/Kelso, Humboldt and for over 30 years in Weyburn. Dad loved Saskatchewan. Everywhere he went in the province, he made enduring friendships that enriched his and others lives. He loved people and loved to have fun. A dynamic speaker in the pulpit, he was well read and kept up with the best thinkers and theologians of the day. In 1951, before professional development was mandated, he travelled by train to New York City from Wawota to attend a course at Riverside Church for inspiration. Dad also combined attending education courses with many family summer vacations. Always a supporter of people from all walks of life, he served on the Saskatchewan Minister of Health’s Committee dealing with resettling the mentally ill and as a member for six years of the Alcohol Commission as chair of its Education Committee. He gave his time generously for decades to AA Support and Counselling. In 1989, he was the recipient of the Weyburn Chamber of Commerce Golden Spike award for community involvement. Dad’s interests were many and varied. Playing hockey and baseball as a young minister led to coaching his sons’ hockey team and later to enjoy less-than-serious curling and golfing with friends. Agricultural pursuits included raising cattle, pigs and chickens; beekeeping for fresh honey and boarding the family horses on pasture lands generously donated by friends. Dad’s love affair with horses spanned his lifetime. He rode roundup for many years on a PFRA pasture near Weyburn and made frequent visits to equestrian events at Spruce Meadows in Calgary. Fishing was also a passion which Dad fully enjoyed. For close to 60 years, he travelled north to Otter Lake, many times with family and friends in tow, to experience the north and to catch walleye fish. Other travels included trips across Canada and the United States, and to Europe, the Middle East, Japan, Hawaii and the countless Canadian highways to reunite with family. After retirement, he was a regular at various coffee rows where he liked to “stir the pot” and impart his wisdom. In recent years, he was most proud of leading two statue projects honoring the accomplishments of Tommy Douglas and sacrifices of Pioneer Women. A Service of Remembrance was held Saturday, February 2, 2019 at 2:00 p.m. from Grace United Church, Weyburn, SK with Reverend M. Barnabas officiating. Luncheon followed the service at Upper Grace Hall, Weyburn, SK. A Private Family Burial will be held at a later date in Saskatoon, SK. For family and friends so wishing, charitable donations in memory of Ross may be made to the Grace United Church Memorial Fund, 210 ~ 3rd Street NE, Weyburn, SK, S4H 0W6.